Introducing our perfect Carry-On. A considered design that allows you to do it all. 100 day return trial promise, free shipping and returns, and a lifetime warranty guarantee. Ejectable battery is compliant with all airline policies, TSA-approved, and safe to fly. Arrives 3-5 business days from order date. Georgina F. Reviewed by Georgina F.
Mungo S. Reviewed by Mungo S.
So smooth. Solid handle and wheels. Some smart features like the compressor panel inside. Forgot about the battery (to be honest l did not find the instructions until after my first trip, the day after it arrived) when l checked the bag last minute. Best carry on l ever bought. Just hope the screws on the retractable handle do not work loose like all my previous cases. My wife wants one too! Lizelle E. Reviewed by Lizelle E.
Extremely satisfied with the July carry-on I ordered. The design is so clever and the quality is really good. The July team also made extra effort to make sure I receive it on time to give it as a Birthday gift to my husband. 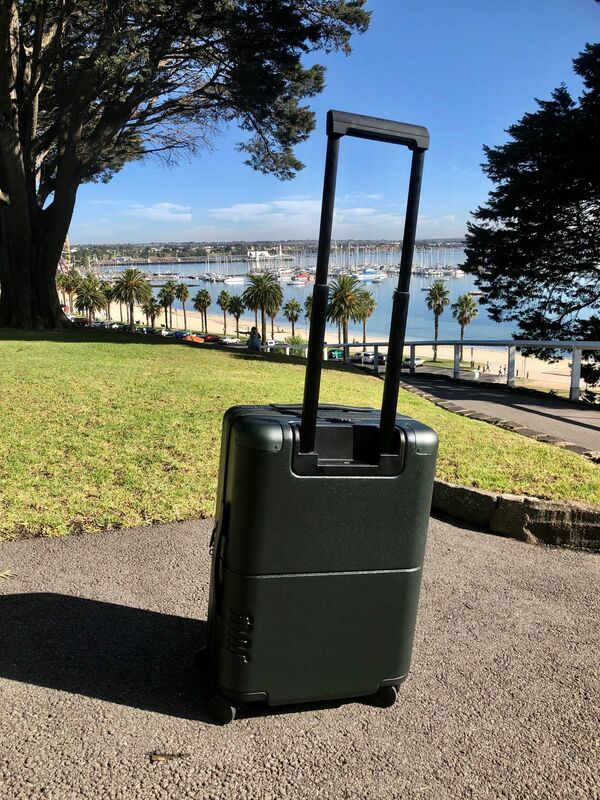 Isabel T. Reviewed by Isabel T.
I love my new July, it’s great for long travel and short trip, it’s so good to have always a place where you can charge Iphone, GoPro and MacBooks whenever you need it, inside is divided in two sections with one extra for your laptop, laundry bag is already inside and it’s very light. Everything about this carry-on is perfect. The look, the finish and most importantly the utility of every feature. The green colour is a real winner. Kudos to the creators of this perfect suitcase.